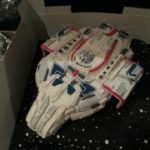 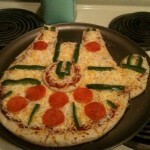 I have posted a number of Millennium Falcon cakes in the past (just search for Millennium Falcon cakes in the search on the right of find them all), but this is probably one of my favorites. 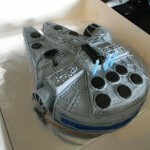 The level of detail on this cake is quite impressive without it going for that hyper-realistic look. 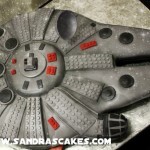 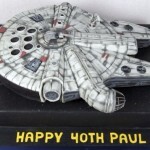 This amazing Millennium Falcon cake was made out of two 16″ round cakes by Cakes with L.O.V.E. 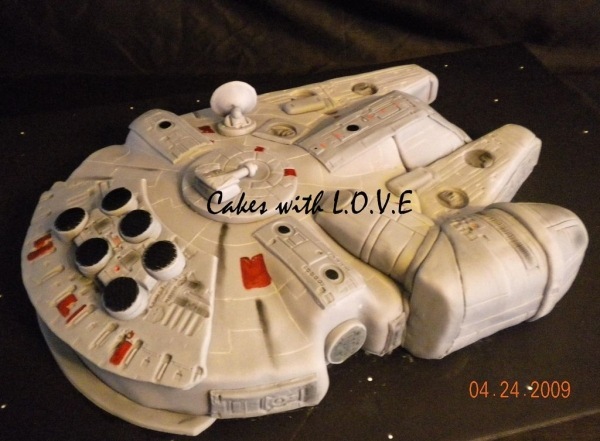 I’d love to have a slice of this cake but considering this cake is three years old, I have a feeling it probably wouldn’t taste very good anymore and the last thing I need is food poisoning.